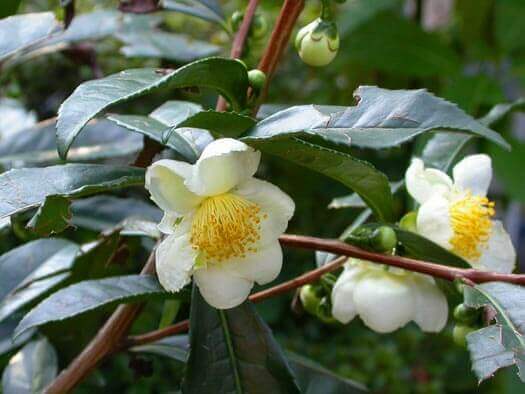 This is the plant they use to make tea. It is a slow growing evergreen that has fragrant flowers that bloom in spring. It is the leaves that one makes tea from. Black Tea is made when the leaves are fermented then dried. Green Tea is made when the leaves are steamed and then dried. Tea has many health benefits through it's antioxidants. Height to 2m Width to 1.5 - 2m. Prefers dappled shade. Drought and Frost tolerant.